Even more history was added to the USC-UCLA dual meet series. One point. It all came down to one point. 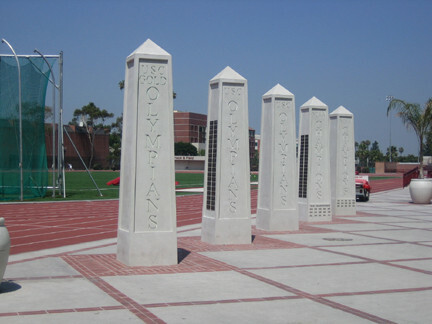 While much of the track and field world’s attention was directed towards the World Relays in the Bahamas on Sunday night, USC and UCLA were duking it out at the Trojans’ Loker Stadium in their annual dual meet. By the middle of the meet, the USC women had the meet in hand and clinched the win with several events to go, but the men’s competition was a toss-up. First held in 1933, this is called “the most storied dual meet rivalry in the nation”. It has its own hall of fame. USC won the first 33 editions of the meet, and when UCLA finally broke through in 1967 it earned an article in Sports Illustrated. In the days before scholarship limits, this dual often had a higher level of competition than most conference championships, and the crowds always came out. It’s not quite like that anymore, but some athletes in this dual are still top-class. For example, Canada probably wanted USC’s Andre DeGrasse on their 4×100 and 4×200 relays in Nassau, since he holds the national 200 meter record. Here, he tied the collegiate dual meet 100 meter record with a smoking 10.04 and ran three other races in a two-hour stretch. Since that first breakthrough in 1966, UCLA has turned the tables in the men’s side of things such that they trailed by just a 42-39 count in the all-time series standings heading into this weekend. Defeating your most hated rival is usually its own reward, but the Bruins also had a shot at Track and Field News‘s mythical dual meet national championship, something they have not won since 1988. A win might or might not be enough for the title, but a loss would eliminate any chance. When teams use the old-school 5-3-1 scoring (5-0 for relays), it takes 82 points to win a dual. UCLA had 81 going into the 4×400, but USC could jump from 77 to 82 if they won that final event. It was dead even at the last exchange, but the Trojans had Davonte Stewart, who won the 400 earlier in the day. He pulled away for the win: USC 82, UCLA 81. The meet was carried live on the Pac-12 Networks and was perfect for TV. It fit neatly into a two-hour time frame. Every race had meaning by itself, but also in a larger context of the overall score. It had records, it had rivalry, it had tradition, and it had a thrilling ending. 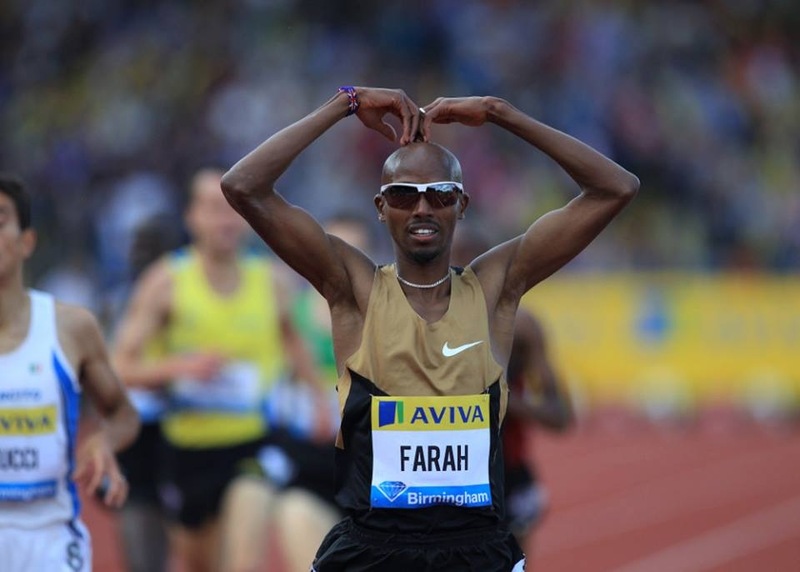 The last two weeks have been absolutely fantastic for track and field fans. The Boston Marathon, the Penn and Drake Relays, the London Marathon, the World Relays, and all of these smaller televised college meets. All of them have two very important things in common. One is a heavy team identity. That’s fairly obvious at the Penn and Drake and World Relays and in a college dual meet. But it was also on display at the Boston Marathon, where US fans were hoping for a American winner, and any American would do. The biggest story at the London Marathon was Paula Radcliffe’s retirement race, and she got an incredible amount of support and admiration from the British public. The other thing that they all had in common was that the race to win was far more important than the race against the clock. Oregon and Villanova were more interested in beating each other in that memorable men’s 4xMile than they were interested in beating any records. The big stories at the World Relays were USA vs Jamaica, USA vs Kenya, USA vs The Bahamas, and the times were basically unimportant. Virtually all racing sports–horse racing, auto racing, bicycle racing–are all about the fight for the win, and times or speeds are mere footnotes. Still, the Sunday morning headlines included “US women break distance medley world record”. That was by far the least interesting race of Saturday night’s World Relays action–the crowd went bonkers for every other race and was silent for that one–but it makes a good headline. Newspaper headlines and photos and agate results are 20th-century sports media. Highlight reels and Youtube clips and gifs are 21st-century sports media. I mean, the most-watched college track race in many years is an 8:57 steeplechaser beating a foolish 8:58 steeplechaser, because it’s “did you see that?” material. Track and field does not neatly lend itself to television or Sportscenter Top Ten clips or Facebook shares. On video, only experts can see a big difference between a 75-foot shot put and a 67-foot put. To the naked eye, a 3:47 mile doesn’t look that much different than a 3:59 unless you’re right up next to it. Track and field does neatly led itself to headlines and still photographs and statistical summaries, but those are as dated as acid-wash jeans. It’s going against the grain to get attention for our sport. As far as I know, only three collegians competed at the World Relays. Clemson’s Natoya Goule ran on Jamaica’s 4×400 and 4×800 relays, with a split times of 51.72 in the heats of the first event. Villanova’s Jordan Williamsz ran on Australia’s 4×800 and distance medley relays, with splits of 1:50.25 in the first and 1:45.64 in the second. Tulane’s Audrey Jean-Baptiste helped Canada get to the 4×400 finals (which means they’ll qualify for the next Olympics, their first in this event in 12 years). But which current collegiate athletes would have helped their national teams if they had been available? Here are several that come to mind. Trayvon Bromell, Baylor (USA, 100/200). While it’s hard to say that the 4×100 team that just beat Jamaica and Usain Bolt could be better, I think the young and fast-improving Bromell will soon be faster than leadoff leg Michael Rodgers. He might be already. Andre DeGrasse, USC (Canada, 100/200). The Canadians, who have been medal contenders or winners at recent major meets, DQ’d out of both the men’s 4×100 and 4×200. DeGrasse is no guarantee that they’ll fix those problems, but he definitely will add speed. He ran 10.04 on Sunday and earlier in the year he tied the 200 meter national record. Brendan Rodney, LIU (Canada, 4×200). The 20.27 he ran at the Florida Relays puts him #7 on the all-time Canadian list. Jenna Pradini, Oregon (USA, 4×100/200). The Americans looked like they just didn’t have enough speed in the women’s 4×100. Pradini is the current world leader in both sprints and could help. Deon Lendore, Texas A&M (Trinidad & Tobago, 4×400) Lendore has been struggling with injury for the last couple of months, but when he’s healthy the 2014 Bowerman Award winner is about the fastest quarter-miler they have. He alone isn’t enough to get them into medal contention, though. Brandon McBride, Mississippi State (Canada, middle distance). The Canadian men didn’t enter any distance races (the women did run the 4×800), but they might have if McBride and his 1:45.35 800 meter PR were available. The Cardinal Invitational was held at Stanford on Saturday night, and a lot of people ran really fast. That’s the point of the meet–to bring together a lot of athletes at a good facility with dependably good weather–but only in a few cases did it significantly change the calculus of who the “best” collegians are in each event. For example, Penn State’s Brannon Kidder ran the NCAA leader in the men’s 800 meters. But we already knew he was a contender for the NCAA title in that event. Oklahoma State’s Chad Noelle ran an NCAA leader in the men’s 1500 meters, but in my mind he’s still not one of the NCAA favorites; those remain Oregon’s Edward Cheserek (if he enters the event), Montana State’s Cristian Soratos, and Villanova’s Jordan Williamsz. Soratos ran marginally slower than Noelle while in the “A” heat, but marks always need to be viewed in context, and that’s doubly true in distance races. A couple of races did alter the landscape a bit. One of them was the women’s 10,000 meters, where Providence’s Emily Sisson ran just the second 10k of her career but beat the major national championships contenders, namely Iona’s Kate Avery and Boise State’s Emma Bates. Sisson broke the collegiate indoor 5k record back in February, so we knew she’s good, but Avery totally dominated the landscape during cross country season and finished fourth in the 10k at last summer’s Commonwealth Games. Bates is the defending NCAA champion in the event. The Cardinal Invitational is a different beast than championship racing; all of the above got in a group of fast professionals and just ran without much decision-making beyond “how much discomfort can I take”, Still, Sisson has probably made herself the NCAA favorite in this event. The one real “out of nowhere” runner was UMKC’s Courtney Frerichs. She won the fast heat of the women’s steeplechase in a national-leading time of 9:32.12, which is stunningly fast for a college steeplechaser. In fact, the only two college women who have ever run faster are Jenny Simpson and Emma Coburn. Those two are among the few American distance runners who have won a Diamond League distance race, so that’s rare company indeed. And while times always have to be viewed in context, times in hurdle races tend to stand up on their own. Does all of this make her the NCAA favorite? Well, it makes her the co-favorite. The Jesse Owens Classic no longer pulls in much in the way of top post-collegiate talent like it once did, but it’s still a fairly competitive college meet. Friday night’s competition is mostly reserved for distance racing, and the conditions were absolutely perfect. It was warm, sunny, cloudless and windless with low humidity during the day, and then the temperature began to fall in the evening. Michigan State’s Leah O’Connor entered the 1500 meters. She’s the defending NCAA steeplechase champion and hasn’t lost a single race this year. Indoors, outdoors, relays, steeplechase, flat races, she’s won them all. Maybe running the 1500 here was just prep work for the Big Ten Championships, or maybe she’s considering a 1500/steeple double at the NCAAs. Anyway, she went out and ran the hell outta that race. She won by over nine seconds with 4:11.04, the year’s fastest collegiate time. After all those fast races at the Cardinal Invitational, it was still the year’s fastest collegiate time. Whether she and coach Walt Drench are planning an NCAA double or not, she’s obviously in tremendous condition. The meet produced another NCAA leader, in the women’s hammer throw. Earlier in the week, Bowling Green’s Brooke Pleger thought she might take the weekend off, but she ended up going down to Columbus with her teammates and threw. Good thing too. Her six-throw series produced the five longest throws of the college season, capped by a 69.49m (228′ 0″) final-round effort that put her into the all-time collegiate top ten. If anyone doubted that she could compete for the NCAA title, that doubt is now eliminated. It bears noting that Pleger still hasn’t topped either of last year’s two best marks by Princeton’s Julia Ratcliffe, the defending NCAA champion…but neither has Ratcliffe. It’s also worth noting that I won’t even pretend to be objective about Pleger’s success, since she wears the same brown and orange that I first wore twenty-five years ago. One of the most-ignored rising stars of the college season is Syracuse freshman Justyn Knight. On Saturday night at Stanford, he finished a close second to Cal’s Thomas Joyce in his heat of the 5000 meters. His time, 13:34.86, was significant. IINM, Jordan Knight just broke the Canadian Junior Record that had stood since 1962 (13:43.8, Bruce Kidd, at Compton). Knight is still just 18 years old, so that 13:34 and his indoor sub-4:00 mile are significant. That he broke a record held by Bruce Kidd is even more significant; Kidd is one of the legends of long-distance running in Canada. Kidd peaked in 1961-62, including a 6-mile gold medal at the 1962 Commonwealth Games, and won the 1961 Lou Marsh Award as Canada’s best athlete (over stars such as NHL MVP Bernie Geoffrion) for knocking off stars such as Laszlo Tabori, the 1960 Olympic 5k champion. In 1962 the Film Board of Canada produced this short documentary about Kidd (narration by W.H. Auden), at a time when someone running miles upon miles every day was as revolutionary as a computer that could fit in a single room. 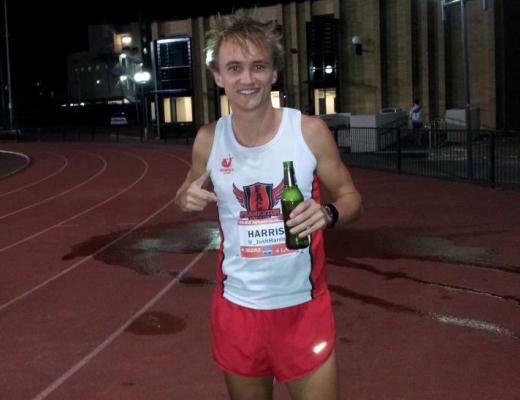 Kidd was accepted to Harvard but chose the University of Toronto instead, and soon spent more time on studies than running. Now a professor and sports administrator, he is the only person selected to the Canadian Olympic Hall of Fame twice–as an athlete and as a “builder”. Kidd is a significant figure in Canadian sport, and that Knight finally broke his record is a major honor. Akron’s Shawn Barber has been tremendous in the pole vault this year. On Saturday night at the Longhorn Invitational in Austin, Texas, he broke his own Canadian record with a 5.91 meter (19′ 4¾”) clearance. His defeated opponents included Brad Walker, the American Record holder and 2007 World champion. It ties Barber’s best mark from the indoor season. It’s also Barber’s fourth 5.90+ clearance of 2015. Right now, I’d call him the second-best vaulter in the world after Renaud Lavillenie (the man he beat last week at the Drake Relays), and here are the numbers to back it up. In other words, 5.90 meters (19′ 4″) is the norm for Lavillenie, a good day for Barber, and peak performance for only a small number of others. One of the many non-track distractions in the sports world last weekend was the NFL draft. A decent number of draftees have track and field backgrounds. One prime example is Danny Shelton, the Cleveland Browns’ top pick (12th overall), who put the shot 16.19m (53′ 1½) for his Washington Huskies a few years ago. But what about guys who are are on track teams right now? I’ve been told that signing with an NFL team would make them ineligible for the remainder of the track season since it requires hiring an agent. So anyone currently competing will have to wait until the summer to get a chance with an NFL team. One trackster who is a long shot–but an interesting one–to make an NFL roster is Thurgood Dennis. The sprinter and cornerback from D-III Wisconsin-Eau Claire ran 10.12 for 100 meters over the weekend, albeit heavily wind-aided (+4.9). His wind-legal PRs are 10.28 and 20.86 and he finished third in the 100 at this year’s Drake Relays. He has good enough size for an NFL defensive back or kick returner (6′ 0″, 181 lbs). But he wasn’t even named to the All-WIAC football team last fall, let alone any kind of All-American team, so he’s still very much a long shot. I couldn’t ask for a better two week stretch and now it’s all gonna go downhill because I’ve got exams. It was just a great day for both teams. I’m sitting here trying to think where we didn’t perform well? And there were not a lot of those. I don’t have the words for it right now. It’s such a good feeling to be chasing something for so long and then come so close meet after meet after meet, and finally I broke loose on probably the most important meet to me, my last meet at home, with my whole team behind me. The blood is rushing, I’m heading under the stands to catch my breath. I knew I was pretty fit. I wasn’t sure just how fit. Murray Halberg, not Laszlo Tabori, was the 1960 Olympic 5000 meter champion.